If you answered: “A beehive,” you’re right! And if you answered: “a social media campaign to create a bee habitat at Children’s Discovery Museum of San Jose” -- well, you’re right too! 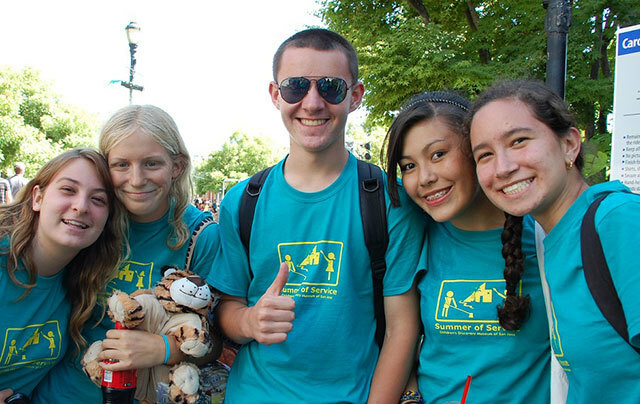 Hi, we are the middle and high school students involved in Summer of Service (SOS) and Discovery Youth (DY) programs. We learn new skills, make friends, and help the community during the summer and after school at Children’s Discovery Museum of San Jose. We’re excited that the purple museum is planning to create a bee habitat where kids and their families can observe and learn about the amazing lives and creativity of honey bees and other pollinators whose populations are diminishing. In SOS, our slogan is We Come to Help. So here we are, mobilizing to amplify The Buzz About the Bees and get as many people as possible to bee-lieve, as we do, that creating a home for honey bees at Children’s Discovery Museum is a sweet thing to do! It may look like bees are just winging it, but they are fulfilling a vital role in our environment. Bees spread pollen from one flower to another, making it possible for plants to reproduce. Bees are responsible for pollinating about one-sixth of the flowering plant species worldwide and approximately 400 different agricultural types of plants. Honey bees are very important to the human food supply, having a major role in crops such as strawberries, broccoli, peppers, watermelons, oranges, and coffee, as well as crops used to feed livestock. Honey bees have a symbiotic relationship with flowers. Flowers are an important food source for bees, and their pollen is used as protein for bee larvae. Bees are eusocial. Many generations live together in one hive and care for young bees is shared. Most bees are female. The vast majority are worker bees, carrying out essential functions like building the honeycomb, guarding the hive, foraging for food and water, receiving and storing food, feeding the young larvae, and cleaning. Male bees are known as drones. Their main role is to mate with a queen, usually in their own hive but sometimes leaving the hive to mate elsewhere. Drones do not have stingers and do not participate in nectar and pollen gathering. Queen bees reign over the hive. 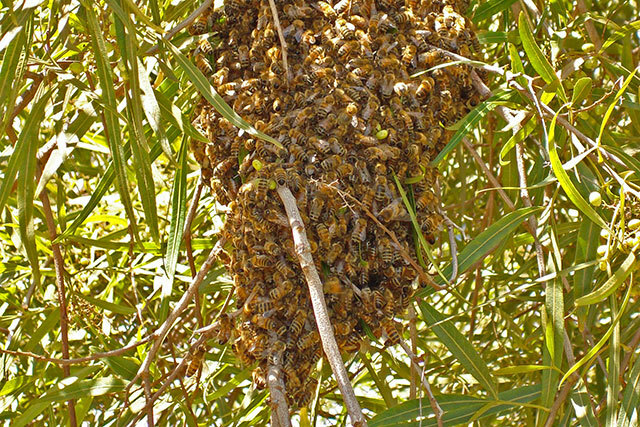 One queen can have a colony of as many as 10,000 bees. Only the queen bee can produce worker bees. The truth about the bees really stings. Ouch! photo courtesy of Dominik, cropped from original. Bees are dying at a rapid and devastating rate. In 2015, 42 percent of bee colonies in the United States collapsed. Bees and other pollinator populations are declining worldwide. This phenomenon is likely due to habitat destruction, pesticide use, and transmission of diseases from commercially managed bees to wild bee populations. Most crops today require pollination. 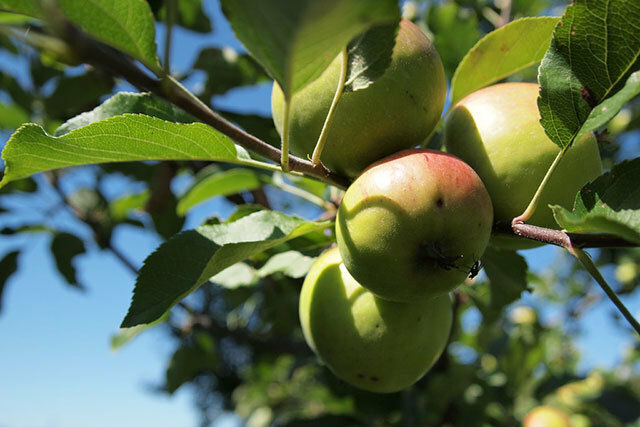 Examples of common crops depending on bee pollination include apples, broccoli, blueberries, cherries, and cucumbers. Without bees, our food supply would be at serious risk. Products of honeybee pollination, from fruits to nuts to coffee beans, would all have less variety and be much more expensive. Get that swarm feeling in your heart. 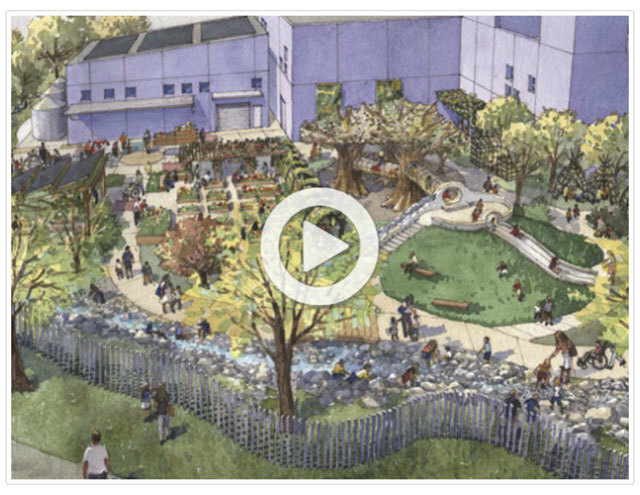 The Bee and Pollinator Garden at Children’s Discovery Museum will be a place that welcomes bees and provides a friendly habitat. The Museum will maintain three beehives, and care for plantings that invite a variety of pollinators to visit and thrive. The Bee and Pollinator Garden will also educate the next generation of environmental stewards. 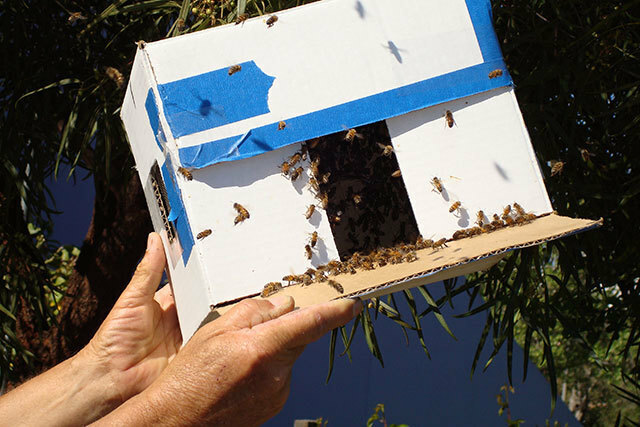 Bees will be on-view, safe from stingers, from inside the Museum, as well as outdoors in their bee habitat. Visiting children will be able to see bees at work up-close-and-personal and watch the honey being made via transparent Observation Hives. About once a month, the beekeeper will come and demonstrate how humans can facilitate the healthy life of a beehive. In the future, we anticipate that honey produced by the bees will be made available for purchase onsite in the Museum Gift Shop, offering a delicious natural treat for visitors and a sweet new revenue stream for the Museum. Yum! We just keep humming along, busy as…well, you guessed it! Let’s take a moment to wax poetic about our resident apiarist. Douglas Smith is the President and Founder of Bees At Home, currently managing over 50 hives! 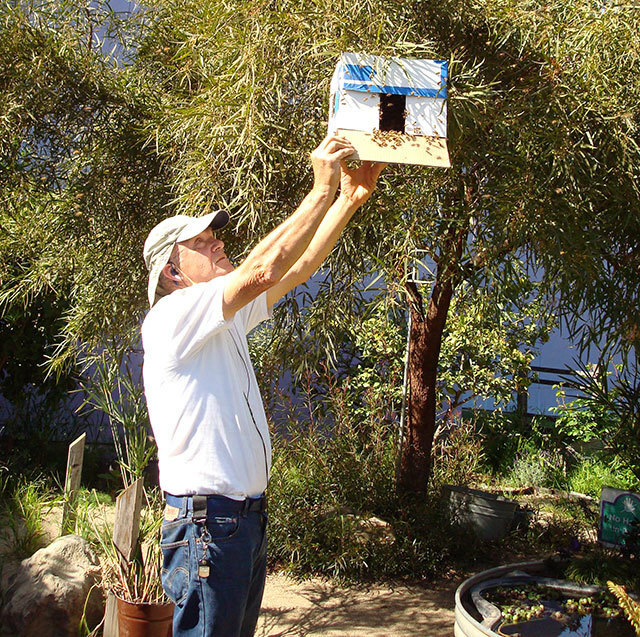 His work includes queen rearing, swarm captures, honey and wax sales, and bee relocation. Doug is a longtime friend of Children’s Discovery Museum who cared for our bees in the past. He is excited to return for this new expanded gig, maintaining the Museum’s three Observation Hives, and advancing the production of honey. Doug will drop by the Museum periodically to present live demonstrations--giving visiting families a closer look at bees and making it possible for children to observe how beekeepers help bees and other insects lead vigorous, happy, and enterprising lives. It’s entertaining to drone on and on, but it’s important to get to the point of Why We Need YOU. By now you know where we stand. As youth environmental stewards, we say: Bring back the bees! You can help create a welcoming local habitat for bees and other pollinators at Children’s Discovery Museum. When you donate, you’ll also help introduce children and their families to these fascinating insects, instilling a passion for local wildlife and an understanding about our interconnected world. Your donation will make it possible to get this exciting project underway. 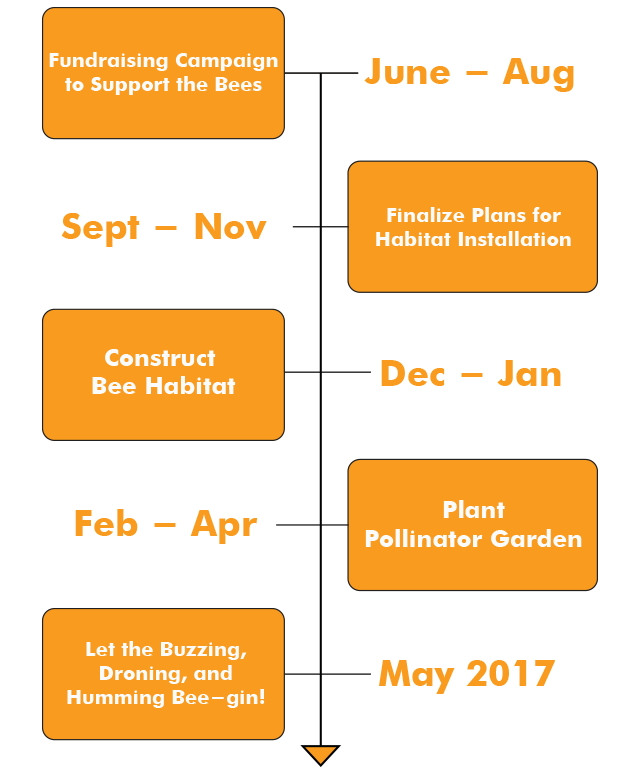 By helping us reach our initial campaign goal of $1,500, you will bee-come a Bee and Pollinator Garden groundbreaker! Once we start turning the soil to create our friendly garden habitat, that will send a signal to the bees that a home soon awaits them here. Let the bees know it bee-hooves them to make their way to Children’s Discovery Museum. Won’t you bee generous? All told, it will cost an estimated $70,000 to get the beehives and the garden habitat up and running. Your contribution to the Buzz About the Bees campaign, minus service fees, will go into a restricted fund dedicated to creating a home and habitat for bees and pollinators. We invite you to join us—and please tell all your friends. Support the Buzz About the Bees campaign and donate today! Show the world what a honey you really are. With your contribution supporting the Bee and Pollinator Garden, you will automatically bee-come one of the many community supporters of Bill’s Backyard, our 27,500 Sq. Ft. outdoor play space opening in Summer 2017. 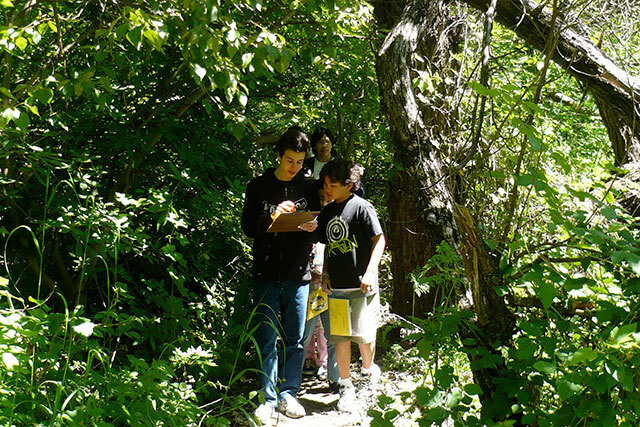 Watch our video to learn more about nature education experiences in Bill’s Backyard designed to encourage a spirit of exploration and a love of science. Egg—Honey bees start as an egg, and we need lots of eggs to increase the bee population! The more the merrier, so please help spread the word and get all your friends to donate. As our thanks to you, you’ll get the link to our heartwarming Thank You Video, expressing gratitude from the children and families who enjoy and benefit from the interactive exhibits at Children’s Discovery Museum of San Jose. Pupa—Are your wings developing and you’re starting to look more like an adult bee? Perhaps it’s time to stretch a little. Test your newly emerging wings and see if you’re ready to pledge at this level. As our thanks to you, we’ll ship you a bee keychain, created by our amazing Youth Programs participants using a 3D printer. We’ll also email you our coveted Buzz About the Bees Joke List and the link to our heartwarming Thank You Video, expressing gratitude from the children and families who enjoy and benefit from the interactive exhibits at Children’s Discovery Museum of San Jose. Honey Bee—Not just a pupa anymore? It’s time for you to break out of your beehive cell and get buzzing. Whether you’re a Drone or a Worker, you may be ready to achieve this higher stage of bee-ing. At this gift level, YOUR NAME (or the name of someone you designate) will be inscribed on an iron stake in the Bill’s Backyard Art Fence. Your name will also appear on our online Donor Hive, updated daily on business days, and you’ll receive our coveted Buzz About the Bees Joke List and the link to our heartwarming Thank You Video, expressing gratitude from the children and families who enjoy and benefit from the interactive exhibits at Children’s Discovery Museum of San Jose. Queen Bee—Not everyone can lay up to 2,000 eggs per day. Nor can everyone donate $500. 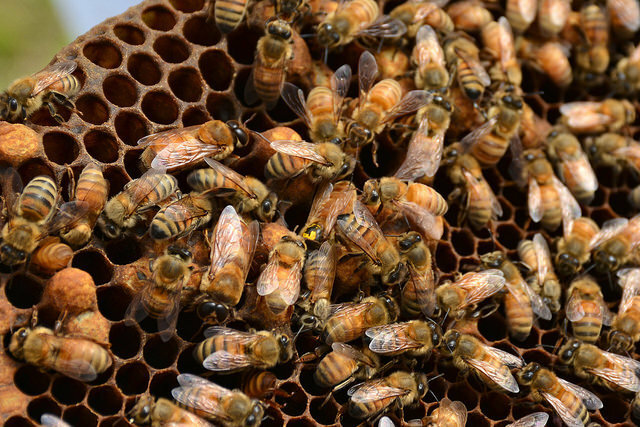 Are you among the rare and extraordinary Queen Bees? Life is sweet if you’re a Queen Bee. At this gift level, in addition to getting YOUR NAME (or the name of someone you designate) inscribed on TWO iron stakes in the Bill’s Backyard Art Fence, you will also receive a jar of our locally-produced honey. Your name will also appear on our online Donor Hive, updated daily on business days, and you’ll receive our coveted Buzz About the Bees Joke List and the link to our heartwarming Thank You Video, expressing gratitude from the children and families who enjoy and benefit from the interactive exhibits at Children’s Discovery Museum of San Jose. Larva—Are you feeling plump, and ready to consider a fatter gift? Once the egg hatches, the larvae are fed on royal jelly. Maybe your hexagonal comb cell has a little extra jelly to share. As our thanks to you, we’ll email you our coveted Buzz About the Bees Joke List. You’ll also receive the link to our heartwarming Thank You Video, expressing gratitude from the children and families who enjoy and benefit from the interactive exhibits at Children’s Discovery Museum of San Jose.